I have a 2017 high lifter that came with the plug in winch control. Anybody know how to add a rocker switch to the dash to also control the winch? Get yourself a rocker and wire it to the winch control under the hood these plates are nice for mounting extra switches too. 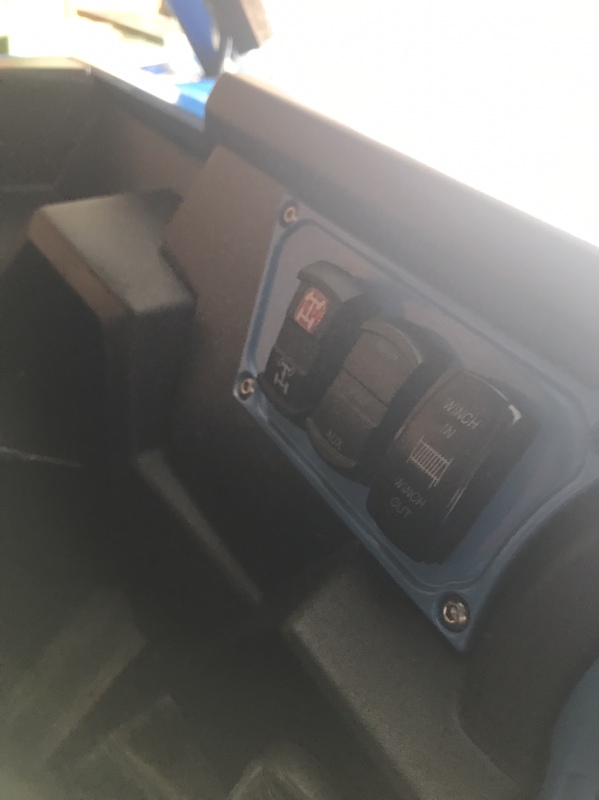 If you want an OEM look you can order the switch and wiring from a 2018 RZR Highlifter. They added the switch for that model year.